Voicethread – You must be at least 13 years or older to register and use this Service. If you are under the age of 13, you must use an account created by a parent or guardian, and you must have the explicit permission of a parent or guardian to use the Service. Above are just two examples from countless websites that state users must be over 13/15/18 to use and access them. 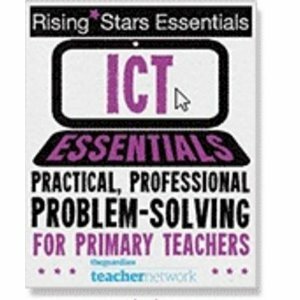 Yet I know of some outstanding work going on in the primary classroom using these tools and others like them. So what is a school to do? Let the children sign-up to these tools with their own email and then it’s ‘not your fault’? Sign them up using a school email – after all, both of the examples above mention guardian and we are loco parentis are we not? Ask parents for permission for their children to use these sites? This issue has troubled me for a while. I love these tools as well as Voki, Zooburst, MyEBook and others like them but they are all bound by this over-13 limit. For most of them, I don’t understand why. Unless the service allows you to browse through a library of old videos and saved files and some of these were inappropriate, then what’s the problem? Are the terms there just for the sake of it? Does it matter if we use the sites in the primary school? I know I have to be careful as our work gets put on the blogs which gets seen by the public and people on Twitter and I wouldn’t want it to look like our school was advocating children breaking the law. So what do you do in your school? Do you use Voki? Vimeo? Animoto? These all have all restrictions. I think what I will be doing in my school is asking for parental permission. In the same way I ask for permission to use children’s photos, I will be asking for parents to agree to let us use these tools. Is it brave? Is it stupid? Would we even be covered by law? (although saying that, if the police come and arrest me because year 4 made a Voki, I’d be surprised – I’m sorry sir, I’m arresting you for illegally making a talking koala). I would make it an opt-out agreement so that everyone can use the service unless their parents had a huge problem with it. I am very happy to share my ideas with parents, after all they only need to Google me to find this post! I would have to be careful to ensure the site was suitable and didn’t contain libraries of dodgy pictures etc, but I would’ve done that anyway. So what do you think? Am I going down the right road? Am I totally wrong? Or am I caring too much about a problem that doesn’t really exist if we all keep quiet? I would LOVE to hear your thoughts on this as I want to give these exciting tools to my children. As much as I would like it to, I don’t think the loco parentis argument works. I recently enquired with Microsoft about the use of the blogging system within Live@edu, which is provided by WordPress.com. The WordPress.com T&Cs prohibit under 13s from signing up, so I wanted to know where our under 13 students stood on using the Live@edu blog service. The response I got from Microsoft, which I believe came ultimately from the WordPress legal team, is that even though they would be signing up with the Live@edu accounts provided by the school, under 13s were not eligible. Well I was wondering about Google Apps and Live@edu. What about VLEs? Is there an age limit there? What would happen if an under 13 was using the system ‘illegally’? they’d lose their account maybe, anything else? My understanding is that this is all driven by american law. Essentially its illegal to store any data on under 13s in the USA, so the sites all have the bar at a 13 or older sign up. Of course America dictates what happens everywhere else. Its a blanket coverage so so many good resources are ‘blocked’ unless you use a sign up and give access or get parent/carer to do it. Bigger question is are our kids going to be able to use the resource safely and not be led into any temptation in the process? Something like Google apps or live@edu has enough local control to keep less mature kids safe. Where blogs have active teacher checking before posting then kids take part in the wonder of the web safely and learn good safety rules that they wouldn’t have accessed without the opportunities. With resource creation sites like prezi or myebooks the question is will they look at unsuitable content if they join the site? I think if there is a risk they might then steer clear. It’s clear from Prezi responses to users bringing this up that they don’t really want to block School users and indeed encourage it with the educational licences. When you sign up for an education licence there is no explicit age exclusion but the usual terms noone reads. Here’s a good example of the real world clashing with the jobsworthy one. Prezi want School users but came up with a boiler plate Terms that exclude them. As do Facebook and others. However in the real world kids under 13 are using them. Does suggest that the 13 rule has been overtaken by events and reality and that needs to change. It’s younger kids who are greatest users of the riches out there. After reading your post, I go with slow down as my main piece of acdvie. Both for yourself and the students we can’t juggle all things at once and make meaning of it all. Learning is the goal, so take your projects apart into the different components and consider each component through your paperless lense. Research makes sense on line, but is the tool a lesson unto itself and worth some time? Then the research will be more profitable. If the tool doesn’t serve students long-term, then perhaps paper and pencil is the better route.And for yourself (I’m taking a lot of big steps with my sixth graders this year with new tools and lessons), you are learning too. It’s ok to be a reflective, learning educator, talking out loud with your students about your experiences with this new method and material. Your class is Communications Technology. Communicate with your students about your goals, your struggles, your desires for their learning (I’ll bet you already do). And listen to them they might just the suggestions and feedback to guide you all.I’m excited for what you’re trying. I can’t wait to read more about this adventure. Bravo!